Preferred by freelancers and entrepreneurs, the Exacompta 2019 Visual Weekly Planner Refill keeps your busy schedule on its toes. 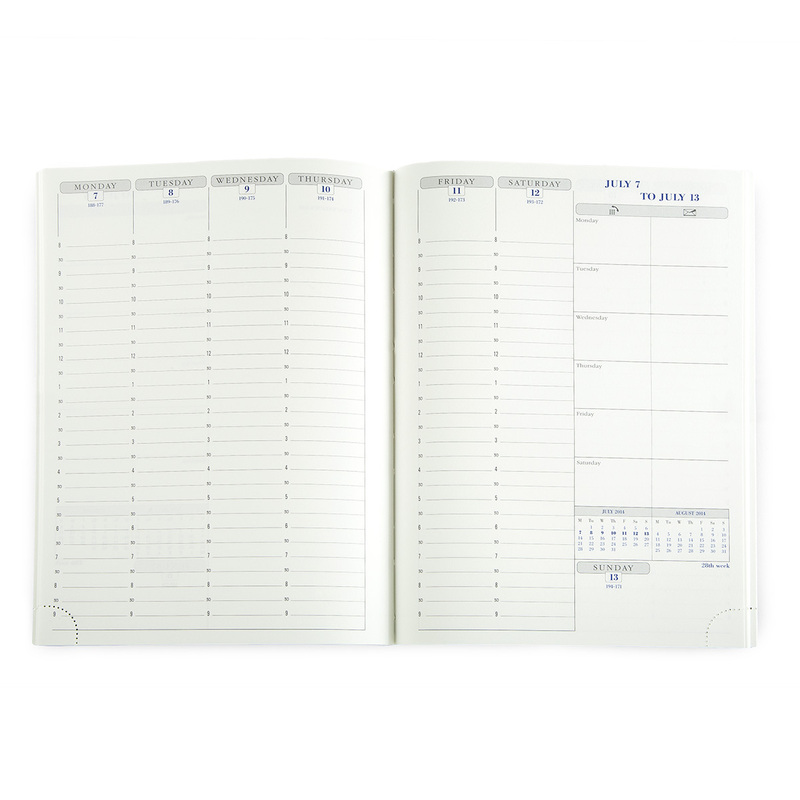 A slight riff on the classic French design, this datebook still stretches each week across two pages (Monday to Thursday on the left, Friday through Sunday on the right). Simply slip this refill into your favorite Exacompta or Quo Vadis cover and you're good to go. 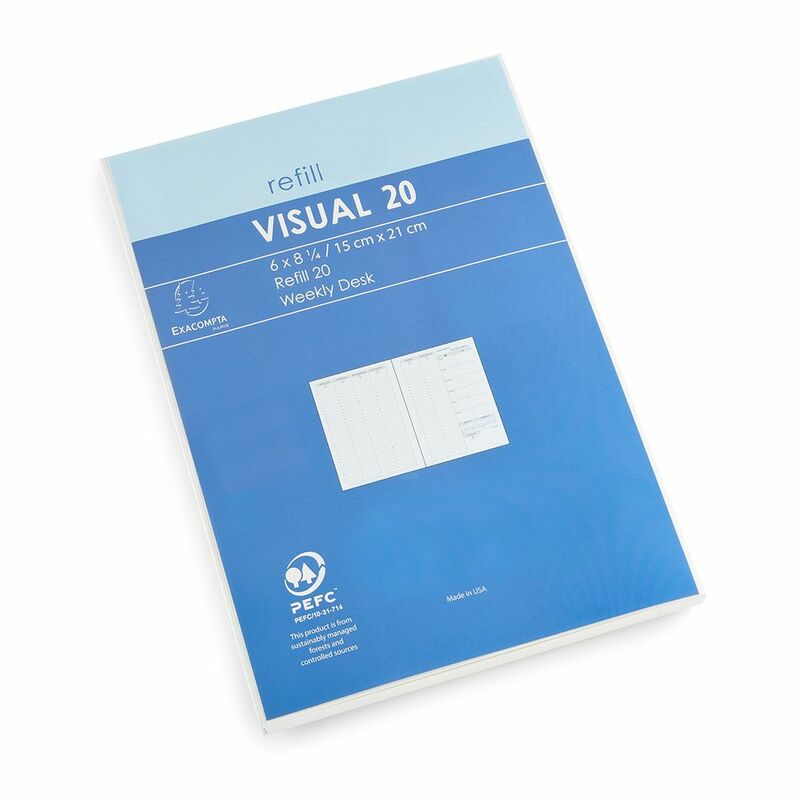 We think you'll quickly fall in love with the structure of the Exacompta Visual Planner Refill! Each half hour has its own appointment slot on a provided 8 am to 9 pm schedule. A daily write/call memo area is included, as is a space for each day's priorities. You'll find annual and monthly planning calendars ranging from November to February as well as a travel expense record and an attached address book. The elegant 90 g Clairefontaine paper has a delicate green tint to it and is both acid free and eco-friendly. Been using the Exacompta calendar for 15 years. Always order from Vickerery. Always on time.